From prototype to production, Sam Blenkinsop shows off his race-ready Norco Aurum HSP in Croatia. Sam Blenkinsop is in Losinj, Croatia with a production version the of the new Norco Aurum HSP downhill bike. He's running the 29er version of the bike in size XL. The Norco has been seen in prototype form under team riders for over a year and is finally hitting the market. The bike will be offered in 29 or 27.5. The 27.5 will be available 4 sizes, XS, S/M, M/L, L/XL while the 29er will start in M/L or L/XL size offerings. 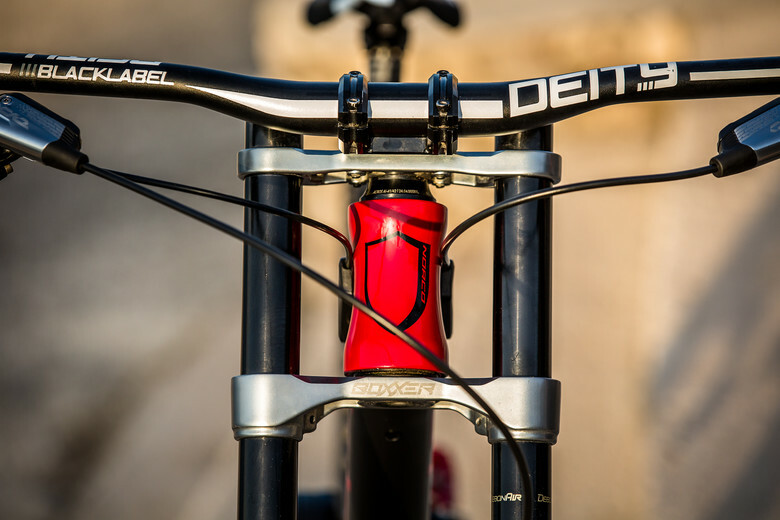 The headtube can be adjusted fore/aft by 4mm and the team has access to different linkages that offer more or less ramp-up/progression. Blenki is on the stock, production linkage in Croatia. Two models will be offered. 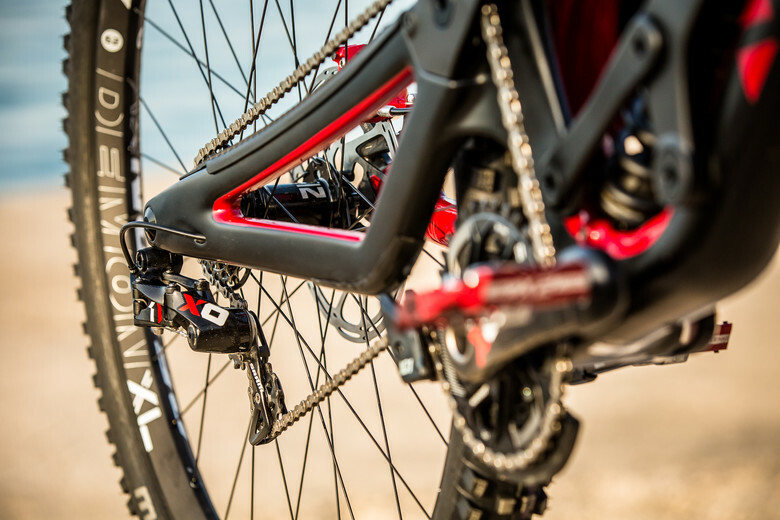 A Team version which is very similar to what is seen here as well as a more affordable model that will feature a BoXXer RC and SRAM GX DH 7-speed drivetrain. 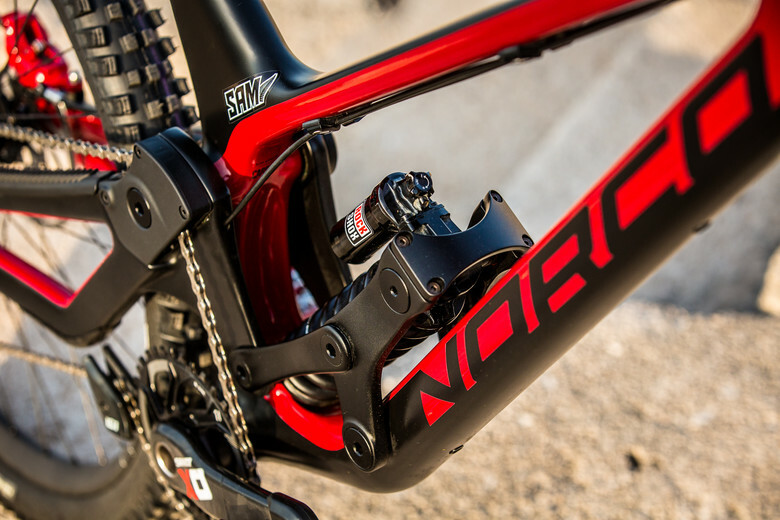 Learn more about the Norco Aurum HSP in their press release. Best looking World Cup bike this year!